Grade 8 Hex Cap Screws are made from medium carbon alloy steel, are heat treated, oil-quenched and tempered at a minimum of 800 deg. They have a greater tensile strength than grade 5 hex cap screws and are designed for use in high stress applications. 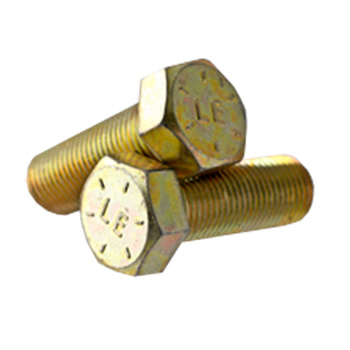 Metric grade 10.9 hex bolts are also made from heat treated, medium carbon, alloy steel but are not exactly equivalent in tensile strength to the US grade 8 hex cap screws. See specs for more information. See our online store for imperial, metric, import, USA made, full and partial thread, quality grade 8 hex cap screws at wholesale prices.